A Multiple Vehicle Relocation: Who's Driving The Second Car? A Multiple Vehicle Relocation: Who’s Driving The Second Car? 02 Dec A Multiple Vehicle Relocation: Who’s Driving The Second Car? 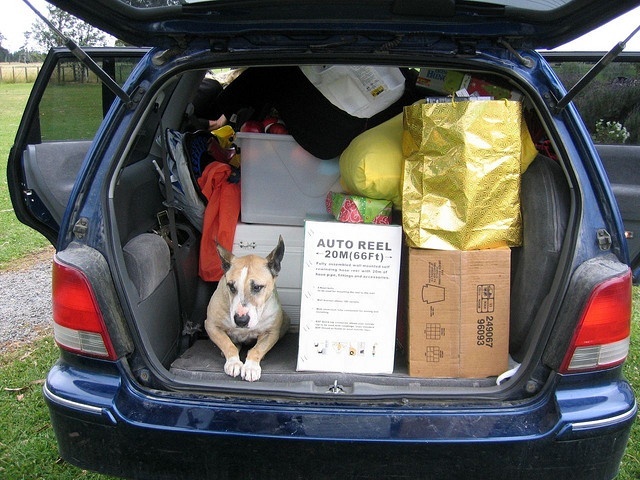 A multiple vehicle relocation can be something of a big family roadtrip. Mom and Dad are in the front, navigating and following the relocation vans while the kids are in the back playing games and wondering how far is left to go. This is great for one-car families, but what happens in families with multiple cars that all want to travel together? What happens when all the family are in one car and there is no one to drive the second? The easy answer would be to get someone to drive along behind and follow you. The likelihood of this happening depends on a few factors. Do you trust this person enough to drive your pride and joy across the country? Are you both covered on the insurance in case something goes wrong? Are they prepared to do it for a good price or out of the kindness of their heart? Are they happy to drive this unfamiliar car on such a long important trip? This shouldn’t be too much of an issue if it is a family member with a good track record, knowledge of the route and the will to do it as a favour with small privileges. As long as you provide them with money for gas, food and a place to sleep at the end, it should be fine. However, many people won’t be comfortable doing this or agree to do it so cheaply. The alternative is to work with a professional service. There are professional services that will pick up your car and ship it off for you. It is more costly, but you can be sure of a professional service akin to that of the removal men. There are important considerations when choosing the right option here. First of all, find out where the starting point and drop of points are. Don’t assume that the car will be taken to your new front door and be shocked to learn its going to a depot. Find out what sort of transporter they are using. Is it enclosed or open air? Finally check all credentials and small print on rules, insurance and other details. The other option here is to simply deal with the other car at a more convenient time. Depending on the location of the new home, you may not have to move all of your cars at the same time. If you have to travel up to the new home to meet with a realtor or for work, you could drive up in the second car, find a safe place to leave it and fly back. This way it is waiting for you when you arrive. Alternatively, you could put your second car in storage in your old hometown, or a relative’s garage, and fly back to retrieve it at a later date. 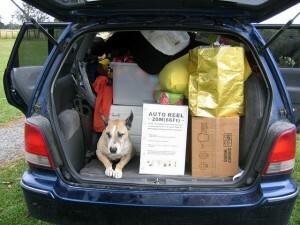 There are different ways to go about dealing with multiple cars in a relocation. You don’t have to do everything on the same day. However, if you choose to, there are options on who takes control of the second car to deliver it safely. Do some research and find the person or company you can trust the most.